This 20-page document (free to download from the NASC Website or to be distributed by email to those who need it) is intended for use by anybody with responsibility for the management, use, monitoring and provision of scaffolding. 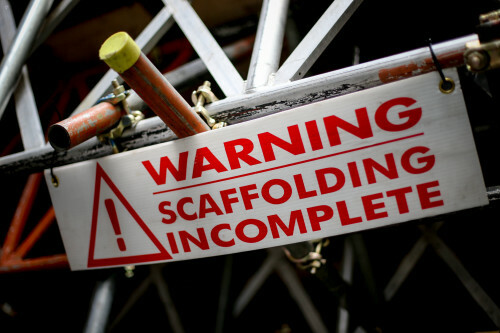 The Scaffold Specification Template features a wealth of information about tube and fitting and system scaffolding as well as lightweight mobile access towers. And there are sections on current scaffolding regulation, competence, training and proficiency of CISRS Part 1, Part 2 and Advanced scaffolding operatives, scaffold design, handover certificates, scaffold inspections, risk and method statements and client information. In addition, there is a large section on the minimum requirements for scaffold tube, boards, fittings, loading bays, brick guards, sheeting and debris netting, access and egress, edge protection, ties and hop up and stage brackets. The document is easy to read and navigate and also contains TG20:13 Compliance Sheet examples, Scaffold Inspection Report Sheets, examples of current CISRS cards and more useful documentation. NASC President, Alan Lilley said: “For many Principal Contractors/Clients specifying the criteria for a scaffolding contract at tender/pre contract stage can be as onerous and uncertain a task as trying to manage the operations of an appointed Scaffolding Contractor. A draft of the NASC Scaffold Specification Template document was showcased to construction, health and safety and industry professionals at the Health & Safety event at NEC in Birmingham, March 22-24th. To obtain a copy of the Scaffold Specification Template, please visit www.nasc.org.uk and search or email: enquiries@nasc.org.uk. To obtain details about becoming an NASC member and to find out more about the NASC, the national trade body for access and scaffolding in the UK, visit www.nasc.org.uk or email: enquiries@nasc.org.uk.